So you might also want to take some time to prepare such a list… Another fun fact: The longer your list is, the better. Former football coach Lou Holtz is a living example of this manifesting technique. When he was 28, he wrote 107 life goals. 50 years later, he has achieved OVER 80 of them. Having such a list though, even if you know it by heart, like I do, doesn’t mean that what you are doing in your day to day life is aligned with your goals. In fact, you might be working against yourself without even realizing it, or letting limiting beliefs dictate the agenda. Looking at your list of goals, the first thing you want to know is which goals are you actively pursuing at the moment? Even if the answer is “none”, that’s ok. Knowing where you are is key to figuring out how to get to where you want to go. And for the purpose of this post, I actually want you to focus on those items that you are currently doing very little (or nothing) about. Choose one of them. Have it? Good. Do you still want to achieve this goal? I mean REALLY want. Not because someone told you it would be nice or you yourself thought that in the past. Does the thought of achieving this goal provokes positive emotions? If not, it’s ok. Don’t be afraid to remove goals or choose a different agenda. If you’re not passionate about a goal, if there is no desire involved, then you probably won’t do a lot to get it anyway. I can’t / I have to work / I need to get this done first / I don’t know how… just write. Don’t give it too much thought or try to analyze yourself… that’s what the third step is for! Now it’s time to figure out what thought is holding you back. I often refer to those as “limiting beliefs”, which are, in my opinion, the single biggest object that stand in our way to manifesting what we want. Most likely, behind your “I can’ts” and “I first need to” lies a whole world of beliefs, subconscious ones, that are dictating the agenda. Realize what they are and you can turn them irrelevant. But in order to do so, you better actually schedule a periodical review of your goals. Confession: I am one of those people who constantly feel the need to stop and re-assess their goals and current condition. I often come up with the same result, and this process re-enforces my resolution and belief that I am on the right path. But natural processes that happen in life, have led me recently to the understanding that something must change. This blog is actually one of the results, of this understanding. See, while some things are really easy to manifest, others are quite hard. 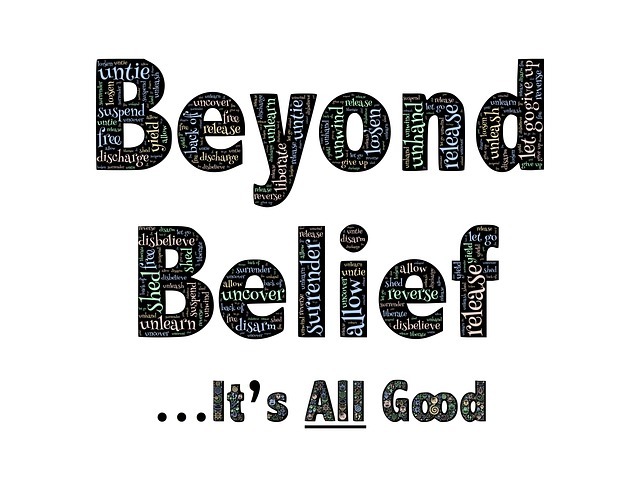 If you try too hard (which is NEVER the right way to manifest), like I did, you might end up forming negative beliefs that will not only hold you back, but you will never realize they are actually there – like a blind spot. This realization hit me by accident, when I’ve manifested some additional income without actually thinking about it too much. At first, I was really happy with the extra cash, that I actually hushed that small voice inside of me (and those of the people around) telling me that I’m going in the wrong direction. That actually, I’m wasting my time here. But I felt like I couldn’t be that off, after all – extra income is always great… So how off can I be? Really off, turns out! It took me about 2 weeks to do the math and realize that this easy manifesting was not only taking me off my path, but it was also a manifestation of one of the most painful limiting beliefs I was holding onto: the belief that past a certain monthly income, you have to work really really hard. Apparently, an arbitrary number that I once tried and failed to earn, turned out to be a symbol, earning it meant the loss of all free time and very hard work and I wasn’t even aware of it. So once the realization hit, once I realized that what I was doing was in no way aligned with my ACTUAL goals, I had to re-evaluate and prepare a new list of short term action items. And the results, in the meantime, are nothing short of astonishing. I’m always amazed to find out how one little thing like a change of a single belief, can make such a huge difference, that removing it means instant and dramatic life change. But hey, it’s great! A list of long terms goals should always come with short term action items and “tactical goals” that are aligned with what you are looking to achieve. Interesting post. When I was younger, I called my list my life goals. Now I refer to my list as my bucket list. So true, goals, like anything in our life, need to be checked in with. We grow, we take new paths and its good to revisit the things in our life we are striving toward to make sure its where we still need to be using our energy.